For those of you waiting to hear about money… here you go! 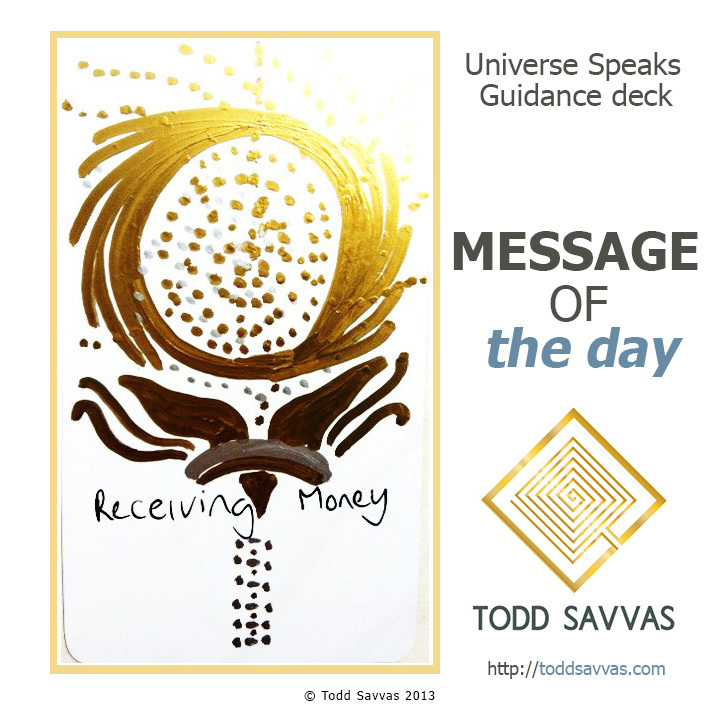 This card is a welcome sign that you’ve entered into the cycle of money entering your life. This week there is a definite lightening from the heavy period of learning and growth. Of course it doesn’t mean you’ll be able to put your feet up all week and metaphorically sleep, but it is a notable shift. When you enter into a week where this sort of shift occurs, or even reach a day with a message like this, those who become extra proactive and take advantage of the opportunity get the most out of it. Use this energy of ‘receiving money’ to think about new ways to make money, or perhaps visit your bank and chat with them to see if you have the best account for you. Both of these elements can help you expand your money making and retaining.